My interested is in small animals. I found out many years ago that having a pet is very therapeutic and soothing. 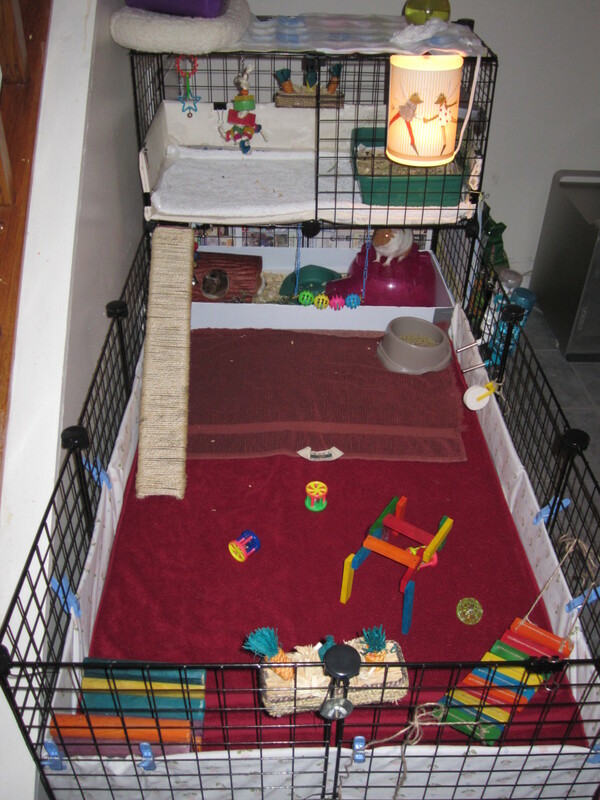 This is the cage that we used to potty train the guinea pigs. Ever try to bathroom train guinea pigs to control the cleanliness of the cage? Those that were able to try will understand that it might take some time for that to happen. Rodents are not like canines or felines, they do their business where they sleep, eat, feel comfortable or even where they stand. They are not going to bark or purr at you for attention to use the bathroom. Dogs will bark to be let out, and you will understand what they need, when they need it. Animals that can semi communicate with people will make pet-to-master understanding a lot easier. There are no potty training pads for guinea pigs that other animals have hence it is harder to potty train them. Most animals have a safe area that they use to eat, sleep, or whatever else they do. When we go out and need to use a toilet, of course it would feel more comfortable at home, same exact thing for animals. 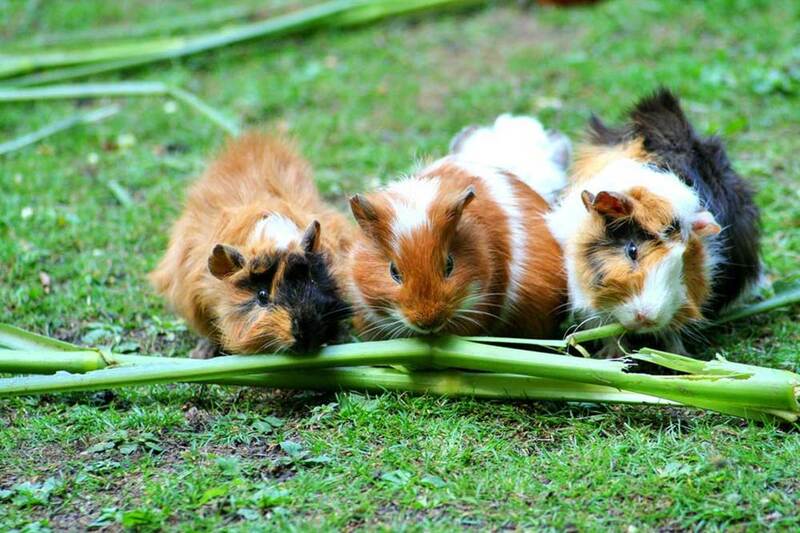 Guinea pigs or other animals normally use the same location to potty and eat. Training a guinea pig how to potty in the right area is possible but may take some time, effort and understanding. It all depends on how fast your guinea pigs pick up the hint you are giving them. Smaller animals usually need more time to adjust to the environment they will live in including their owners. When they are in the wild, they will move to different areas but usually they try to stay in one location for as long as they can. Change does not come easy to anyone, whether it be for human or animals. Guinea pigs have little to no defense in the wild. If you startle them, they will just freeze and pray for their life. They will not attack and cause a blood bath with their twenty or so teeth. Because of their inability to escape predators, they have a limited resource for survival. Guinea pigs do most of their business in the dark hence they potty in areas where predators can’t track them, or they try to. They are very easily threatened, but they still love to run around and play. Guinea pigs that are domesticated have a lot less ability to survive in the wild but still maintain their instincts of survival no matter how little it is and no matter where it is. 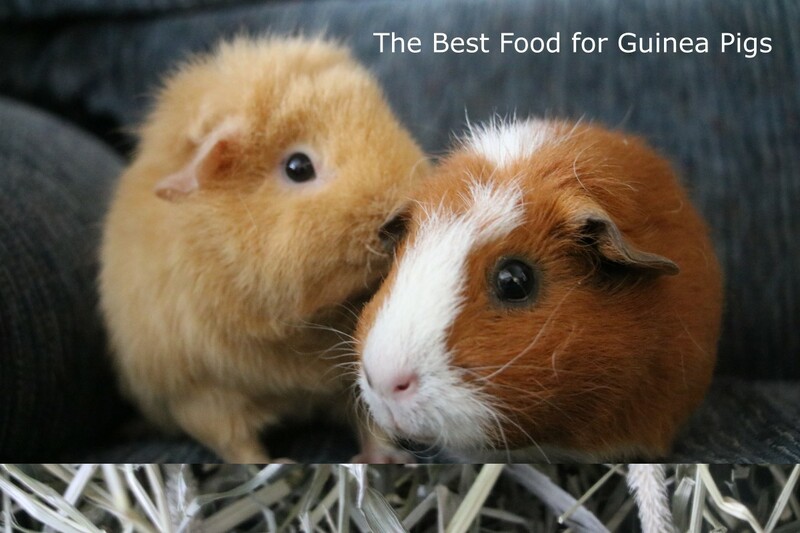 Guinea pigs, in general, are so vulnerable. They are very cautious where they pee because they don't want their predators to know where they are. Their urine is also used as their means of communication to other guinea pigs that is why they prefer it to be in an area that is safe for them. Hence they have this idea in their heads that it is safer to be in a dark area. If it is dark, they think there is lesser chance for predators to find them. One way to train them to potty in the area you want them to go is designating an area which is covered on all sides to keep it dark for them. The darker the area the better it is for the guinea pigs. If you noticed on the first picture, the night lamp was strategically placed to keep the playground or the place where you don't want your guinea pigs to poop or pee on nice and bright while keeping the bathroom provided for them nice and dark. This will create the illusion that it is “safe” even though the whole area is fine. Another thing is to place the food that you are giving them to that exact same dark area you provided them because they also love to poop where they eat. 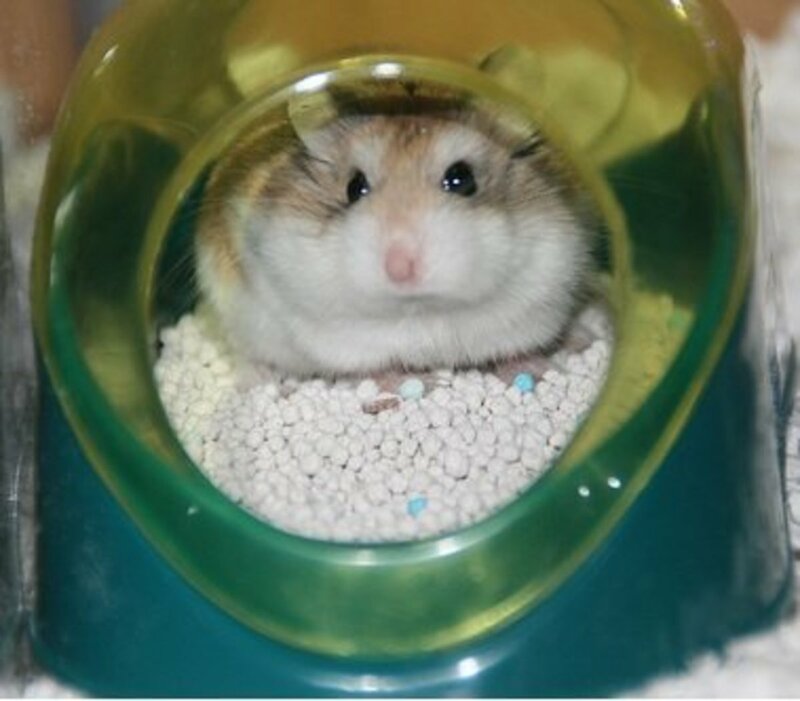 By doing these, you pretty much created a perfect safe environment for your guinea pigs and rest assured, you will no longer have issues on your guinea pigs poop and pee all over the cage. That way they slowly begin to build an understanding that the area to potty would be inside and only inside the dark area that was setup for them. The bedding in this picture is pine chips, the chewing log and pigloo is to provide more dark area. There is also hay and bamboo inside the area. 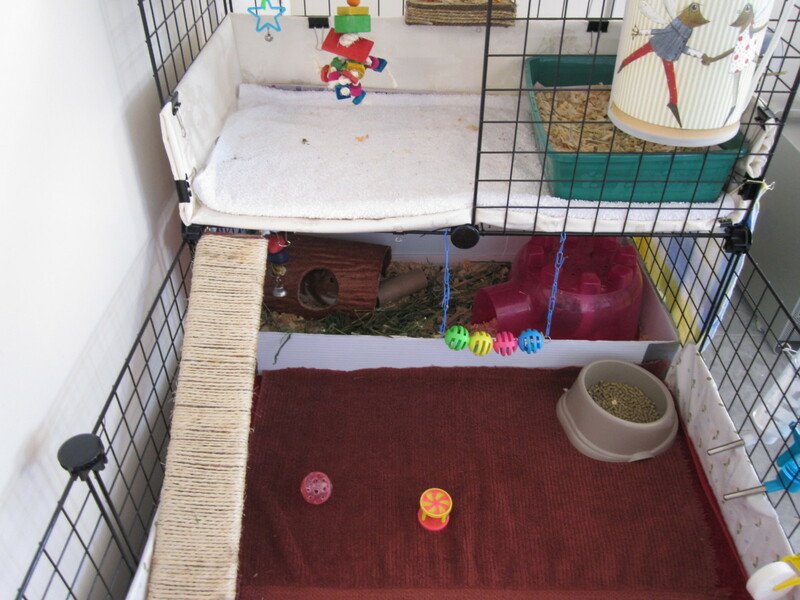 Bedding for guinea pigs is usually used for the litter box to help "train" them. But this is really not the case. If you follow the instructions in the previous paragraph, then the bedding will work like a charm for you. 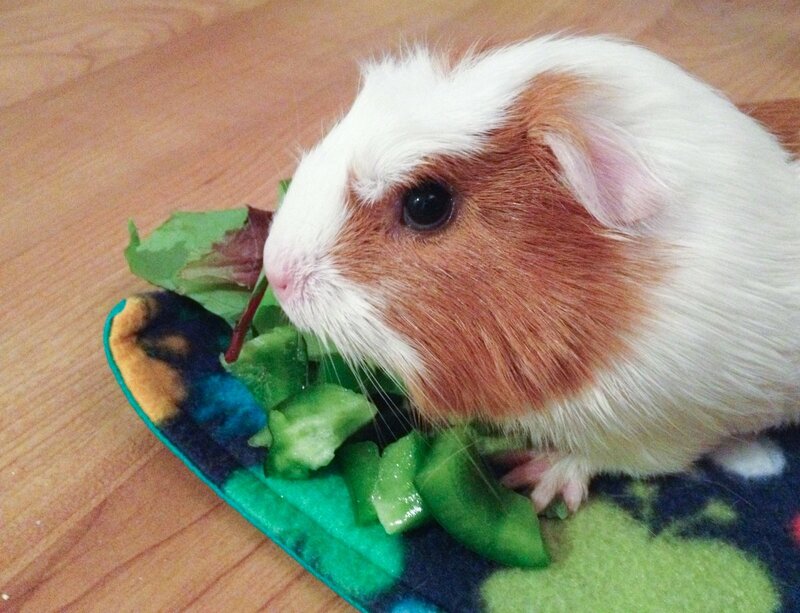 Other than that, if you are someone that loves fleece for your guinea pigs, the method of potty training mentioned above for guinea pigs will give you the option to use both fleece and bedding at the same time. 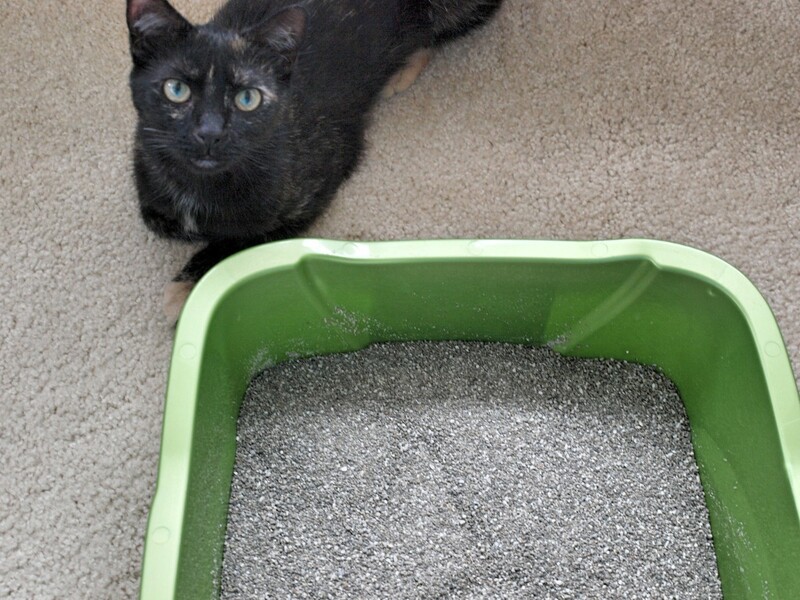 It is a lot easier to clean out the bedding in a litter box than using cloth such as fleece throughout the cage with poop all over it. Some people clean their cage twice a day which means changing the fleece and washing it. When your guinea pigs are potty trained, there is no need to do it because their poop are contained in one area which is where the guinea pig bedding is. This is how you set up a guinea pig bedding inside the dark or covered area mentioned in the previous paragraph, first, you need to have a litter pan or a small or medium-sized container built for your guinea pigs to poop on. Then you just add a piece of old newspaper underneath the bedding and add a guinea pig wood tunnel or igloo for them to sleep in. When you need to change it, just remove the whole potty box or litter pan and take out everything that is on it and put another old newspaper underneath the bedding and you’re done. The detailed instructions on how to properly clean the guinea pigs cage is coming out soon. This is how it looks everyday, some days there will be wood chips outside if they kick or popcorn like crazy. But usually this is what it looks like. The top is a little bit dirtier since we use that to house them as we clean up. Once they have adjusted to using one area to potty, try not to make any changes too soon. When their environment changes, what they learn becomes unlearned. Changes meaning moving their potty area to a different location, not changing what are inside the area. When they have an area to potty, it makes life a whole lot easier having them. Cleaning becomes easier, and you can start making the cage a bit fancier if you so desire to do it. It helps with expense as well, or shifting expense from buying litter material to toys for them. After they are use to it, they will do most of the pooping in that area. The “outside” area will still occasionally get some of their trash but it is a whole lot less. How to build a guinea pigs cage? Having guinea pigs are fun but what about its cage, the ones that are sold is quite small and it gets even tighter as they grow. The C&C cage would be ideal but not everyone know how to. So, read on for more info. You and your tips were very helpful!!!!!!!!! Thank you so much. Can I give my guinea pig cheerios? @hamster pro 321 If they pee a lot that's good means that they are drinking a decent amount of water. Just like humans, it's good to intake a good quantity of water every day. hi I have 1 guinea pig and she is peeing like crazy! She has been peeing in her potty every single week does this mean that's good? Sorry for the late reply, that box is plastic, kind of like the one that are used for signs. What is the white, rectangular box tiki are using to contain the bedding and hideouts? What is the white, rectangular box you are using to hold the bedding? I had three males. I was stunned at how much they ate and crapped. Within 24 hours the cage would go from clean to turd central...literally 100s of turds. A full cleaning of their cage once a week was pushing it. They shed like crazy and cutting their nails is tricky. I originally wanted to adopt two but the rescue added a third aggressive one. He terrorized the other two. Would never have them as pets again. @A Smith When I started trying to get the guinea pigs to use a litter box. I focus my research on rodents in general, all rodents have similar habits. I don't have any books to refer you to as I did all my research online. I like that idea about how you have students work with caring for the guinea pigs, demonstrate responsibility and more. Good luck with your research, wish I could help more. I am currently researching this topic. I am planning to adopt 3 young female guinea pigs for my 4th-grade students. My students rotate in three groups during each school day and since the pigs need socialization I knew I needed at least two. I have contacted a family that breeds them and they have a litter that should be available in a month for adoption. I plan to build the enclosure now and introduce them into my home at first before taking them into the classroom. I hope to send them home on weekends with selected students, but only after the students have demonstrated their capability both in the classroom and by researching the care and feeding necessary. Daily care will be by selected students in the classroom at first, and they will have selected opportunities to socialize with them during class on a daily basis. Are there any books or other advice that you would recommend to me for reference? you're right except without the food, I try keep their food as clean as possible. So, let me get this straight, you use hamster bedding in a shoe box ( or something) and put it in a dark area with their food???? Was I right????? They are turd machines indeed, even if they eat at a minimum rate. But their mess is easy to clean up. They can become a handful especially with more than two. I had tried that and wasn't able to keep up with the cleaning. Sorry for the late replies, I don't have any info on baby care for the piggies, but from what I was told they need to be given attention a bit more when they are young, but I'm not sure about food, there are food sold for baby piggies but usually food should be on the softer side for them to digest better. when I raised them I crushed whatever pellets that was for baby guinea pigs and mixed it with some type of squash or pumpkin, hand fed them for a peroid till I felt it was good enough which was about 4 weeks. The piggies usually stay away from the pooped area, I used to section the litter box to three and the middle is where they did their business and the side section is where they slept. after a few months I decided to just use one litter box for everything but changed the bedding every other day and sometimes daily depending on how much they ate and how it smelled, but their fur was always clean as I showered them bi-weekly. The top is also a litter box, they use that when the bottom is bad, surprisingly they are picky as heck and perfer clean areas. when I see them on top a lot I know I need to clean. I also have litter boxes on the floor in case they need to go when they are out of their cage. Is the box in the top also a litter box? Thanks for the great article and for going into the helpful details. Will they choose to spend all their time in the litter box if it's the only dark and covered place, or will they leave after doing their business? I am concerned about their fur getting smelly from hanging out in their yuck. 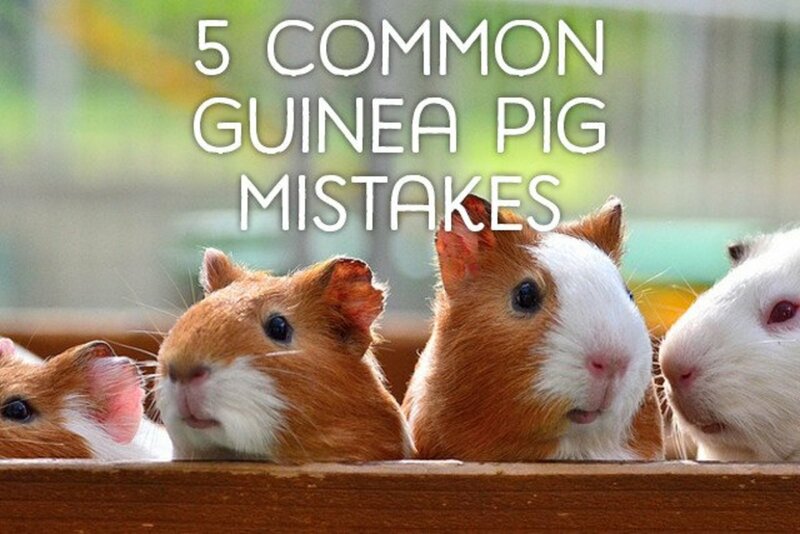 Thank you for the great advice on giving guineas a great lifr! Just got teo babies yesterday...dobyou have any info on baby care? They are siblings...don't know if they are males or females yet hut they a re cuterbthan heck. @goatlover The area you want them to potty in should be dark, try to cover the area about 50% of the way. The dark area gives them security, as if they are hiding. 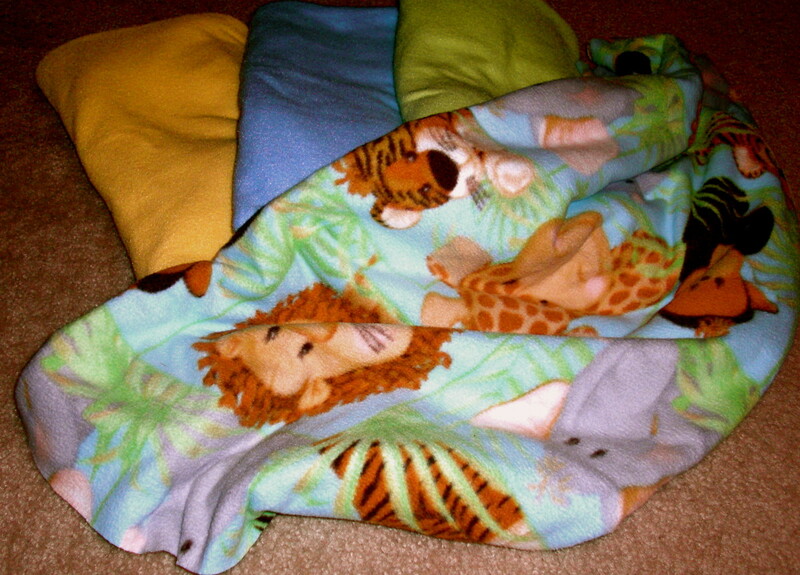 I use a fleece to cover part of the opening, initially I covered the entire space where they potty. Little at a time I start to move the cover, in about 3 months I was able to remove it entirely. They realize that is the area to poop in after it was removed and continued to go back there. But when it's full they'll start pooping all over the place, so you'll need to maintain keeping it clean. I hope this helps. I am trying to train my guinea pigs to go in the pooping area(their food and water are there too) but I am having no luck they are pooping everywhere. Do you have any tips to help me with my problem. 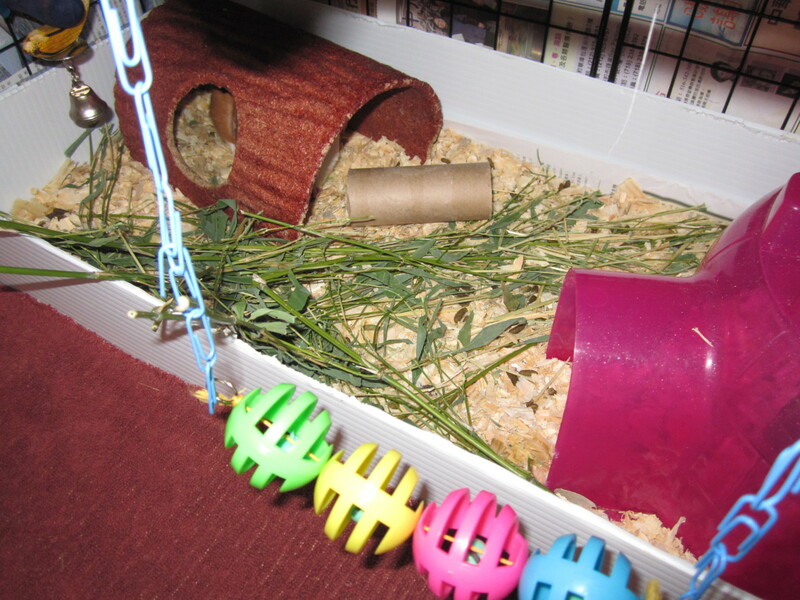 @ GuineaMom The litter box is a plastic box made from corrugated plastic sheets, I bought a couple of sheets to make into a box to fit into the cage. And have some spare just in case, cleaning it is easy but I do change the plastic litter box every time it becomes difficult cleaning. So far I have changed it once, and it's been years. I hope this helps answer your question and thanks for checking it out. How do you make it so that the potty area is removable for cleaning.? Is that the only part of your cage that is the plastic.? Yes! I didn't know it could be done! Thanks for the informative article! @Melissa A Smith .. cleaning up a piggies cage can get annoying and when they get hungry or not enough attention, I've notice they start to make a mess. Almost like they are seeking attention. I used to have to clean guinea pig cages and after that I swore I would never own one. Voted up. You are never supposed to use running wheels/balls for Guinea pigs. They ain't good for their spine! Great hub! We've had guineas in the past and cleaning the cage was always the worst thing. My 8 year old wants her own guinea pig and I think I'll try you cage and potty training ideas! Very informative hub. Thanks for writing and share with us. Voted up and take care! 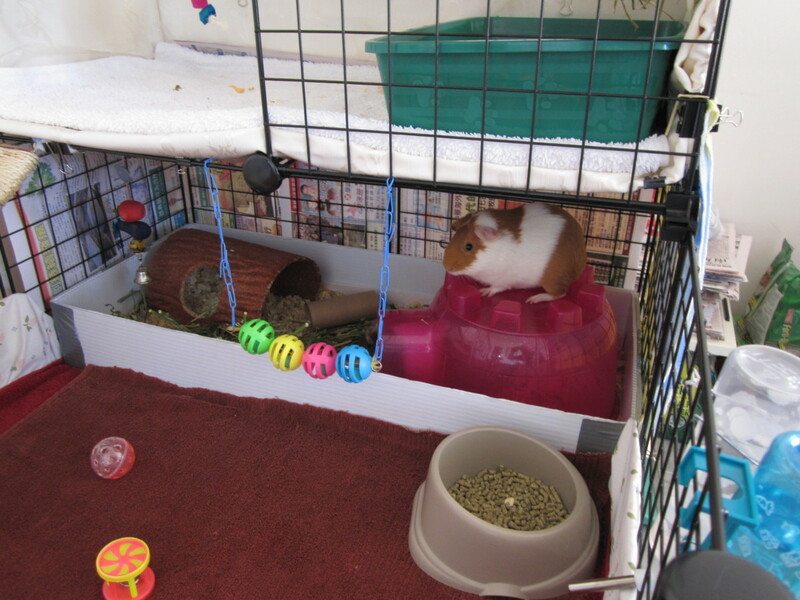 Great hub, I had guinea pigs as pets so I understand the hassles of trying to keep their cages clean.